The Minta kitchen sink mixer offers elegance and functionality. A contemporary design featuring a u-shaped swivel spout and pull out mousseur spray; useful for rinsing dishes or washing vegetables and fruit. 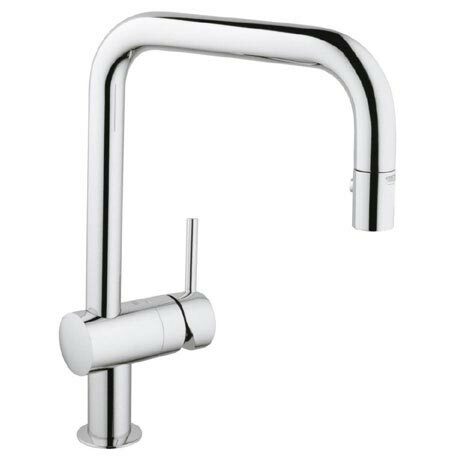 This stylish tap is manufactured using high grade materials and is finished with a special chrome coating that is scratch resistant and easy to clean. All Grohe kitchen taps come with a 5 year guarantee. "Our client requested this particular tap, of which Victorian Plumbing had on stock and delivered swiftly, many thanks."